Newcomer Family Obituaries - Terry A. Polly 1962 - 2019 - Newcomer Cremations, Funerals & Receptions. 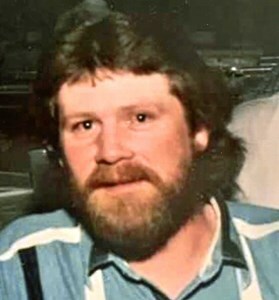 Terry A. Polly, 56, of Dayton, Ky passed away on Tuesday March 26th, 2019 at Hospice Care of St. Elizabeth in Edgewood Ky.He was a heavy equipment operator for J Daniels Company.Terry enjoyed hunting and spending time with his family and grandchildren. He was preceded in death by his parents: Douglas and Peggy Polly, and his sister Jo Ann Polly Holt. Terry is survived by beloved wife and companion of 40 years Teresa Taylor Polly; daughter Alicia Nicole Polly; son Ryan Douglas Polly; brother David (Jennifer) Polly; grandsons Caleb and Ceanan; Step-mother Betty Polly; brother in law Stephen Holt and numerous nieces and nephews and several great nieces and nephews. Funeral Services will be held at 6:00 pm on Wednesday, April 3, 2019 at Newcomer Cremations, Funerals & Receptions - Northern Kentucky Chapel, 4350 Dixie Highway, Erlanger, Kentucky, 41018. Visitation for family and friends will be from 3-6 pm at the funeral home on Wednesday. In lieu of flowers donations are suggested to Hospice Care of St. Elizabeth, 483 S. Loop Rd., Edgewood KY, 41017. Add your memories to the guest book of Terry Polly. Uncle Terry was a loving and kind man. But a real man's man. He was loved by all children. Especially, by Ms Maddie and Mr. Liam. They could sense that big heart of his. He always gave me and my siblings hell. But that's also how we knew he loved us. Our families were one in the same. We did everything together. I will miss you giving me the finger every chance you could. I will forever remember waving to you everyday as you sat on the porch after a long hard day of work. I will remember even after having the brain injury, you still gave me the same grief. I will forever remember the love you showed your children and grandbabies. I will forever remember the true love you and aunt Teresa shared. For a love like that is so very rare. There isn't enough room to write all the wonderful memories I have of you. Im happy that you have reunited with both your parents and JoJoe. Rest in heaven Uncle Terry. We love you. Peace and comfort for the Polly Family. David we are so sorry for your family during this time. May God be with your family. With deepest sympathy. My deepest condolences to the Polly family. I will always remember how wonderful you are daddy. Rest in heaven and say hi to jo jo, gramdma and grandpa for me. I love you.